An effective social media marketing plan usually includes important considerations such as the target market, competitor information, the restaurant concept and the establishment marketing message. 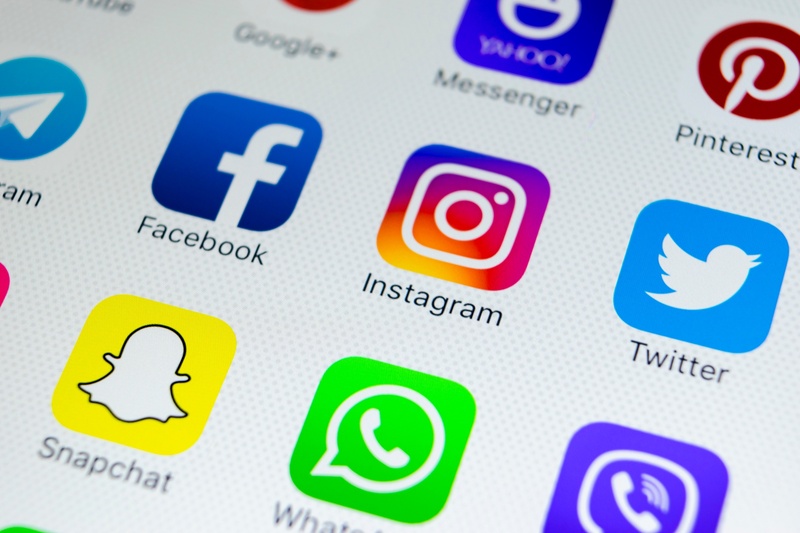 Armed with this information, restaurateurs can make vital decisions, such as which social media platform will effectively engage their desired consumers. The plan also helps them craft the right marketing messages for their potential guests. For instance, a specialty food truck might tweet their location, making their business easy to find no matter where they set-up shop. By developing a complete social media marketing plan, restaurant owners can increase their business no matter what niche they fulfill. Here's a look at the opportunities and dangers of social media. Businesses within the finance industry have taken an inordinate amount of time to adapt social media into their marketing strategies, partially due to fears concentrated around ensuring legal compliance. However, consumers of financial services are interested in testing engagement on social media. High-net-worth adults use social media at a higher rate than the general population. Over 33 percent of adults have asked investment firms and financial advisors questions about information they’ve found while using social media. And 70 percent of wealthy investors have either relocated investments or changed their relationship with a financial investor because of something they’ve seen on social media. Social media usage can benefit financial disclosures in numerous ways. Management is able to manipulate the three-way communication channel through company communications in the form of posts or tweets, individual investor comments communicated to the company, and investor comments communicated to other investors. If comments attached to posts on social media are positive, then the swift dissemination of financial information on social media may even positively affect stock price. However, social media usage can also negatively affect financial disclosures. Social media could impact perceptions of management’s credibility, which was perceived to be higher when positive comments were attached to disclosures of bad news than when negative comments were attached. And while management was considered more credible when disclosing good news, bad news tends to elicit stronger reactions than good news. Businesses should establish roles and identify individuals with the authority to speak for them on social media. They should also implement processes to review profiles on LinkedIn and other social media platforms before using them to conduct business. Investment advisors should not “cherry pick” testimonials and should not be involved in creating them. They should also avoid using “buy,” “sell,” “hold” and other pitch words on social media. Member firms must establish Written Supervisory Procedures (WSPs) and archive electronic communications to avoid being fined by the Financial Industry Regulatory Authority (FINRA). The IRS also owns cell phone tracking technology with the ability to record phone conversations, text messages and the location of whomever is using the cell phone. The IRS has the ability to access private emails as well. However, the IRS viewing private electronic communication is a violation of the Fifth Amendment, which states that it is an individual’s right to not produce private papers that may be potentially self-incriminating. No secret data collection systems as taxpayers have not been given adequate notice about IRS social media data-mining efforts. Data collection should occur for a specific purpose, with user permission being required for other purposes. Previously, damning information has been discovered through IRS data mining on Facebook. But this is a violation of the FIP consent requirement if the IRS is searching for potential noncompliant activity without taxpayer consent. A lack of transparency could violate the Administrative Procedure Act (APA). If the IRS refuses to disclose how the DIF algorithm is structured, it could violate transparency requirements in several laws, including the Freedom of Information Act (FOIA), the Privacy Act of 1974, the E-Government Act and the Federal Agency Data-Mining Reporting Act, among others. As oversharing becomes more prevalent, the IRS has begun checking social media accounts when running audits. Taxpayers should be aware that deductions claimed on their tax returns should line up with the lifestyles they depict on social media. Social media is a largely uncharted territory with the potential to be both daunting and appealing. By taking courses on the rapidly evolving legal environment surrounding businesses and their use of social media, WSU online MBA students can develop their awareness of the professional role businesses play in complying with existing laws and regulations. Sarah Daren has been a consultant for startups in multiple industries including health and wellness, wearable technology, nursing, and education. She implements her health knowledge into every aspect of her life, including her position as a yoga instructor and raising her two children. When she's not watching the New York Yankees play, Sarah enjoys practicing yoga and reading a good book on the beach. Receive a free social media marketing audit today.